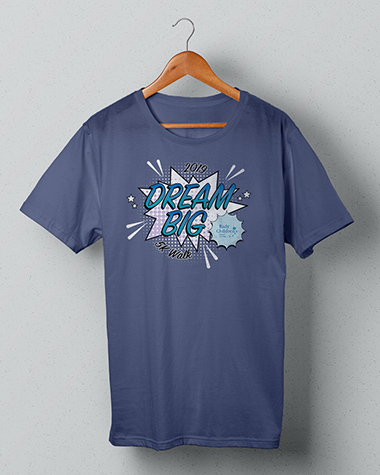 Our Dream Big 5K Walk fundraising prizes are cumulative—that means you could earn all three. This shirt makes dreams come true. All participants who raise $100 ($10 from 10 friends) get to wear their Rady Children's pride and keep sharing the dream long after the 5K is over. 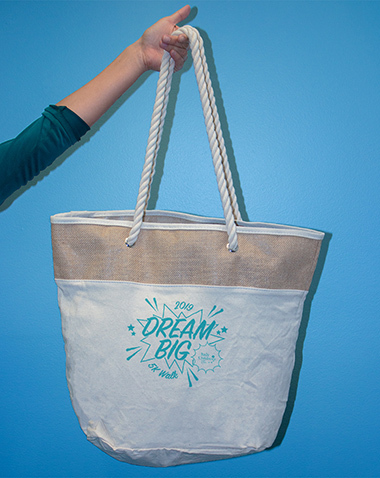 Raise $500 and you can carry the dream forward in our Dream Big tote. Sturdy and spacious, this cute, reusable tote is the perfect companion for your wildest dreams this summer—and for carrying all those donations, you big dreamer, you. You've earned some snuggle-up-and-relax time after all that hard work. 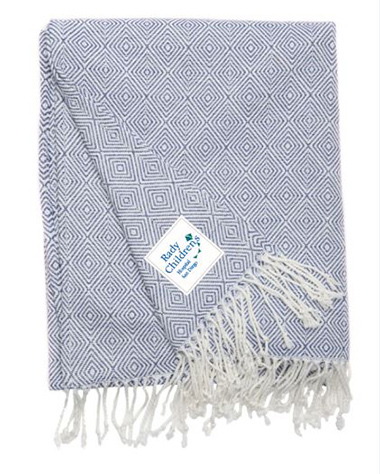 Raise $1,000 for the kids and you'll have a big blue-and-white Rady Children’s blanket waiting to be stuffed in your Dream Big tote. If you reach a fundraising level to receive a prize before the Walk, prizes will be available to pick up at the event. You can continue to fundraise until May 31. If you don’t receive your prizes at the Walk, they will be available for pick up in June at Rady Children’s Hospital Foundation office. Prizes not picked up by June 30, 2019, will be donated back to the Hospital. Please note that prizes are awarded based on individual donations raised, NOT team fundraising.